SkiSelector – den svenska patentskyddade innovationen, mäter och analyserar dina skidors egenskaper! 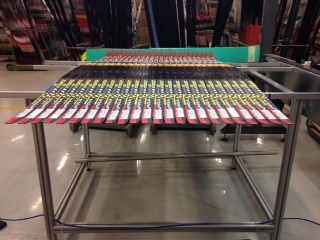 Peltonen Ski factory in Heinola, Finland have now started up the latest SkiSelector system for development and production. A new setup with pairing system is now up and running. Harri Kirvesniemi at Yoko ski factory in Kitee, Finland have installed and started using the Skiselector system for development and production. The long traditions and skills are efficiently combined with the latest technology from SkiSelector. 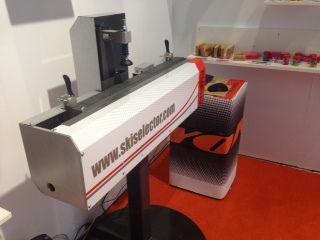 At ISPO 2015 SkiSelector presented the new model SkiSelector Piccolo for smaller shops which has got a limited sales of skis, but still want to use SkiSelector to be able to offer the skiers good skate and classic skis for their need. At Solvalla racetrack for horses Matthias Fredriksson and sponsors arranged a fantastic environment for skiers in Stockholm. 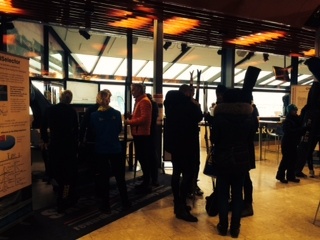 Skiselector assisted Intersport with the annual control of skis for the competing skiers before and after the races. 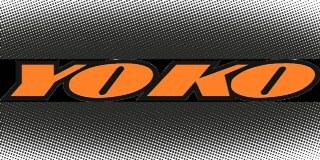 Pölder – Worlds biggest XC Shop! Nu är det full fart vid SkiSelector Academy i Torsby. De första butikerna har genomgått SkiSelector Academy och ytterligare flera hundra personer kommer att genom samma unika utbildning i Torsby, Oberhof Tyskland samt Vuokatti, Finland.